Galahs nesting in a river gum, Burra Gorge, SA. You are here: Home › Products › Photographs › Animals › Green Nomads › Long Gallery 2016 › Galahs nesting in a river gum, Burra Gorge, SA. 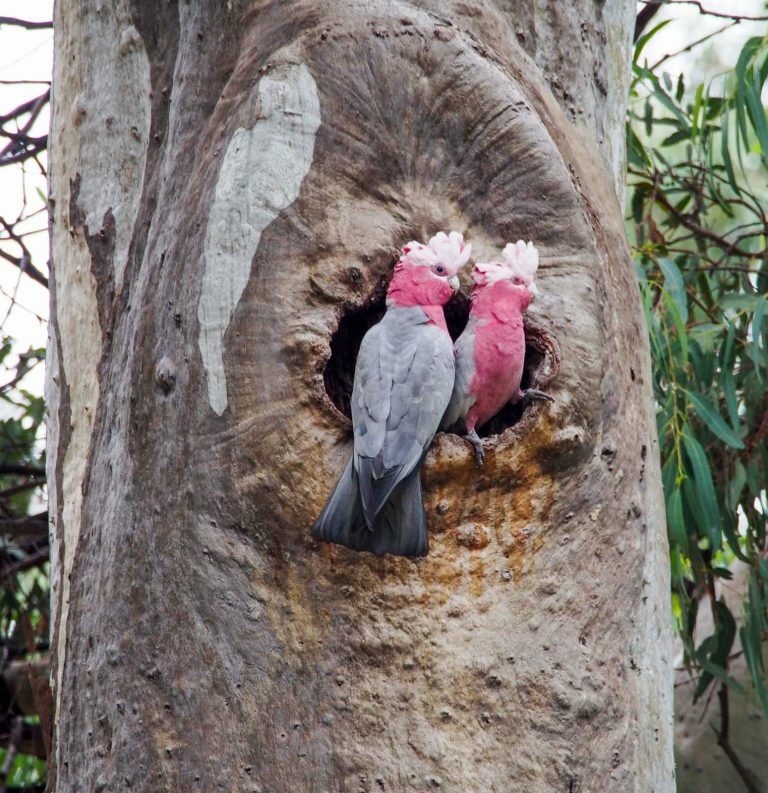 A pair of noisy pink galahs squawked their objection to Paul erecting the tent below their own campsite in a red gum.